May i ask how you did the spotlights? Diary System is now finished! 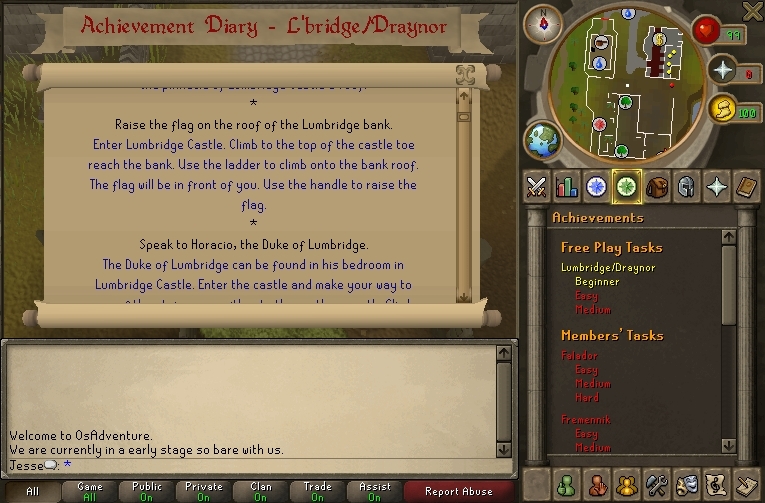 currently only Lumbridge beginner is finished for now but with this being fully finished we are able to easily extend onto the rest of the diaries. 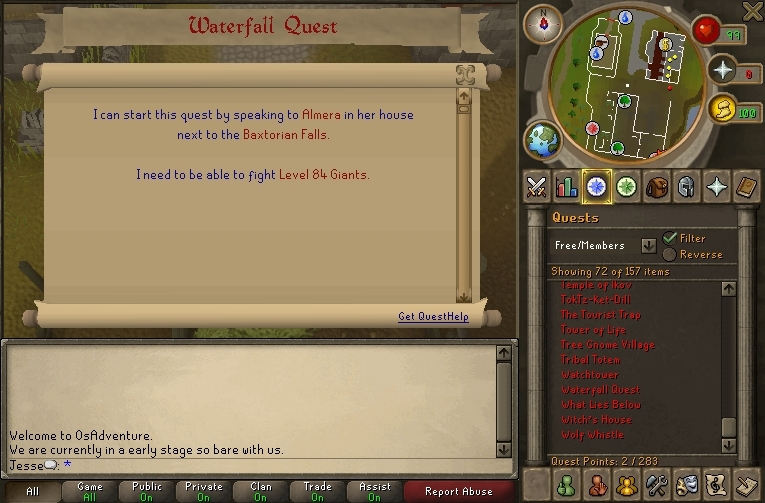 The start of Waterfall Quest! We agreed that we didn't want to make anymore quests before hosting the server to the public since there were a decent amount of quest out at the moment. but with the reward of this quest giving you 30 att/30 str we wanted to make sure this was quest was in the game to help new people start out. Rework of Melee & Range Combat! This update doesn't seem to be the most exciting one, but we wanted to make sure that ladders functioned exactly how runescape does. We couldn't really determine how they were able to do declare that certain ladders have multiple ways of going down/going up to other ladders. So if anyone has any information to shed on this I would happily appreciate it! Since we tested combat for several hours we realized that our current food & potion system was slacking a lot starting with being able to eat a shark/karam combo. Since I haven't pked in ages I forgot about most of these methods that are possible. Thanks to Mr Dream for bringing this up! Looking brilliant! I can't wait for it, is there some sort of Discord server that this server has, I would join and keep up to date with the project more. Since we plan to host the server pretty soon in a early access stage, I didn't want to pay for affiliate status just to have the right to advertise my discord. Since when has one had to pay Rune-server to allow discord links to be put into a project thread? It's the same as putting any kinds of links in a project thread. It's fine for advertisement threads.